Two ancient areas, very different but inextricably linked by the past. 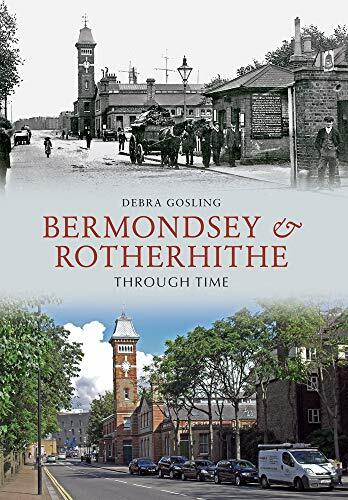 Bermondsey, a name established in Saxon times had its rural abbey, farm and tanning pits. Rotherhithe, translating as a bovine landing stage, had its shipbuilding, rope works and eighteenth century maritime connections. Both places have magical tales to tell, some of which are briefly narrated in this book. There are beautiful churches, old forgotten monuments, cockney days out and tragic accounts of war.It was to Bermondsey that people flocked to find a cure for the plague, believing that vapours from the tan pits would thwart the disease. It was Rotherhithe where the first underwater tunnel, built by the Brunels, was dug out. The Second World War re-shaped the landscape and now regeneration is forming a new one. This is a book of contrasts and surprises, with around fifty pictures that have rarely seen the light of day.